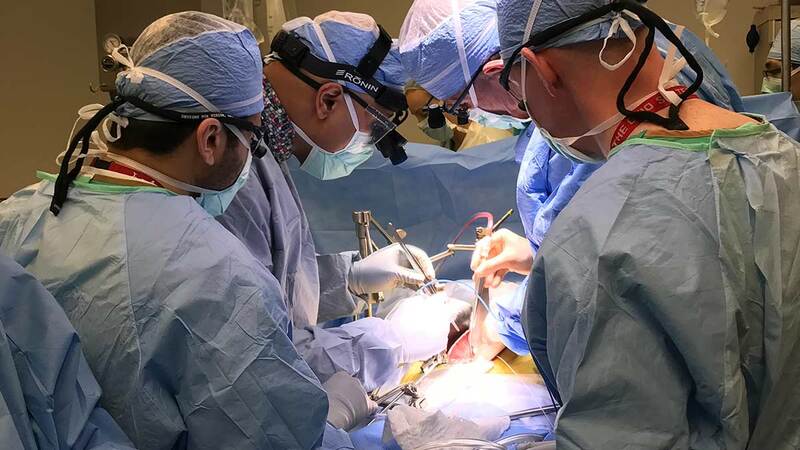 The Ohio State University Wexner Medical Center’s Comprehensive Transplant Center is home to one of the largest kidney transplant programs in the country. 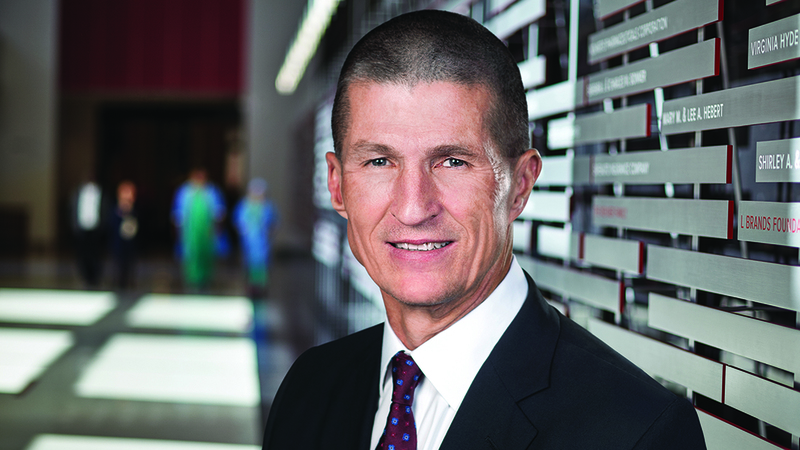 Why choose Ohio State for kidney transplant? Expertise: We perform more than 250 kidney transplants a year, making us one of the top 10 percent busiest programs in the country. Since our first kidney transplant in 1967, we have performed more than 6,500 kidney transplant surgeries. In September 2011, we completed a six-way, single-institution transplant, the first and largest to date in Ohio, and one of only a handful in the United States. Experience: Our Comprehensive Transplant Center has one of the largest organ transplant programs in the nation. We perform more than 450 kidney, liver, pancreas, combined kidney-pancreas, heart and lung transplants each year. Since our program started in 1967, we have performed more than 9,700 lifesaving transplants. Kidney transplant research: We participate in clinical trials of new immunosuppressive drugs and antirejection therapies. Autoimmune disease: Your body's immune system protects you from disease and infection. But if you have an autoimmune disease, your immune system attacks healthy cells in your body by mistake. Autoimmune diseases can affect many parts of the body. Congenital abnormalities: A birth defect is a problem that happens while a baby is developing in the mother's body. Most birth defects happen during the first three months of pregnancy. One out of every 33 babies in the United States is born with a birth defect. A birth defect may affect how the body looks, works or both. Some birth defects like cleft lip or neural tube defects are structural problems that can be easy to see. To find others, like heart defects, doctors use special tests. Birth defects can vary from mild to severe. Your overall health, not your age, is the most important factor in determining if you are a suitable organ recipient. Screenings before transplant ensure that you are in good medical and psychological health and that you have the motivation and support to comply with treatment plans. People who generally are not candidates include those with metastatic cancer, active drug or alcohol abuse, active infection or severe medical problems. You may be referred to our program for evaluation by your nephrologist, your dialysis nurse or your family physician. You may also refer yourself. Contact our Kidney Transplant Program at 614-293-6724 to arrange for you and your family to attend an introductory information session in our outpatient clinic and meet with a member of our transplant team. You will be scheduled for two outpatient clinic evaluation visits. One involves a comprehensive education program that details the surgical procedure, medications, recovery and rehabilitation associated with the transplant process. Your family and support members are strongly encouraged to attend. The second is a day of all the pre-transplant initial testing, lab work and clinical testing, transplant doctor interview and social work consultation. It is preferred that these tests be completed at Ohio State’s Wexner Medical Center, but depending on your geographic location or payer preference, they may be completed closer to your home. Every patient being evaluated for kidney transplant will also have a psychosocial assessment with a social worker. This evaluation will help determine if you have the psychological stability, motivation and personal support to meet the challenges of transplantation. The transplant team evaluates the information gathered and determines whether transplantation is appropriate. We will also determine what additional information is needed prior to placing you on the transplant list. A letter is also sent to your insurance company, with a copy of the pre-transplant patient chart, requesting precertification of the transplant procedure. We will send follow-up letters to the referring physician or dialysis center, summarizing the pre-transplant clinic visit and asking for any additional information required. If it is determined that you are an appropriate candidate for kidney transplant and your insurance company approves your surgery, you will be listed for the transplant with United Network for Organ Sharing (UNOS). A letter will be sent to you detailing your responsibilities while waiting for your transplant. 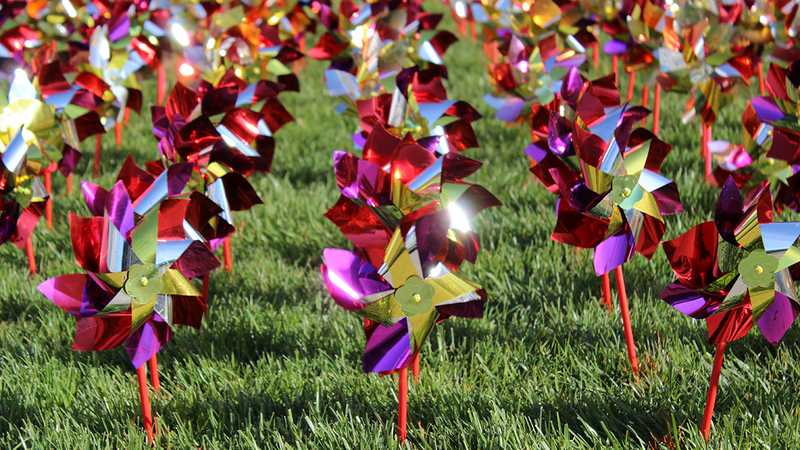 Approximately 2,600 people in Ohio are waiting for a kidney transplant. Kidney donation can come via a deceased or a living donor; the wait time for patients who have a living donor are greatly reduced from years to months and transplant recipients have better outcomes when the donor is living. We encourage all patients waiting for a kidney transplant to seek a living donor. Living donors do not have to be blood relatives of yours and can be a spouse or a friend. Visit our Living Kidney Donation section for more information. You may also receive a donated kidney from a deceased donor who has previously registered to become an organ donor or the family wishes to donate. Please be prepared to wait as long as three to five years for a kidney from a deceased donor. In addition, the donor must have a blood type compatible with yours. Each potential donor also must be screened very carefully for disease, infection or trauma to ensure that you receive a healthy kidney. You must be reachable by phone at all times. When a kidney becomes available for you, you will be notified by the pre-transplant coordinator and admitted to our transplant unit. Ideally, surgery is performed as soon as the organ is available. However, using the latest perfusion techniques, we are able to transplant kidneys within 48 hours of recovery. The surgery will generally last at least four to six hours. Following your admission, your referring physician and insurance company are notified of your transplant. After your surgery, you will be admitted to the transplant unit for recovery. Your hospital stay is typically five to seven days. You will be seen daily by the transplant surgeons, midlevel providers and discharge coordinators. You’ll receive individualized education from floor nurses and attend education classes on medication and general discharge instructions. The discharge coordinators manage your care process, communicate with insurance case managers and plan for discharge. A social worker will visit you to address any psychosocial issues associated with the transplant. Lab Tests: You will visit a lab for testing two times a week for the first first three months post-transplant. Your lab results are evaluated by a transplant coordinator and a transplant surgeon. Outpatient Clinic Visits: you will be seen in our outpatient clinic weekly for the first month, then again at 6 weeks, 9 weeks, 12 weeks, 4 months, 6 months, and one year post-transplant (and at any other time in between if warranted). You will be seen annually thereafter, unless more frequent visits are required. After you are released by your surgeon, you will be seen by the Transplant Medicine Service. Lab frequency is reduced as you progress. Private medical insurance and Medicare’s End-Stage Renal Disease Program share in covering the cost of kidney transplantation. The Veterans Administration or Medicaid may also be a source of financial aid for those patients who are eligible. This doctor specializes in kidney transplants and will follow you before, during and after your transplant. He will complete a physical exam and discuss what additional testing is needed to prepare you for your transplant. This doctor will perform your kidney transplant surgery. He or she will discuss the risks and benefits related to surgery and assist you in understanding what to expect after receiving your transplant. The list of accepted insurances for kidney transplant can often change. Please contact your healthcare insurance provider to confirm your coverage for transplant at Ohio State’s Comprehensive Transplant Center. If you need a kidney transplant, your best option is to receive a kidney from a living donor; but easier said than done! The truth is there is an enormous physical and emotional toll of living with end-stage kidney disease, not to mention the exhaustion of dialysis treatment. So it is not a surprise that finding a living donor can be overwhelming. In fact, the conversation is so difficult more than half of all people in need of a kidney transplant do not even ask one person to donate. Though you may not want to ask, often friends and family members are eager to spread the word for you and help identify potential living donors. 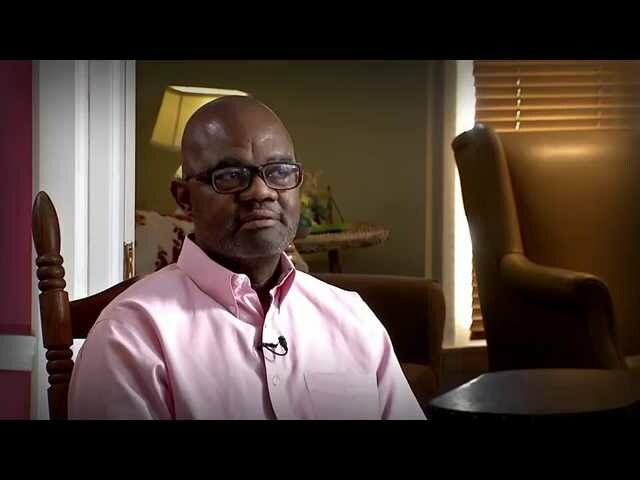 After more than 30 years of living with a kidney transplant, Rick has come away with a very important life lesson: don’t take anything for granted. 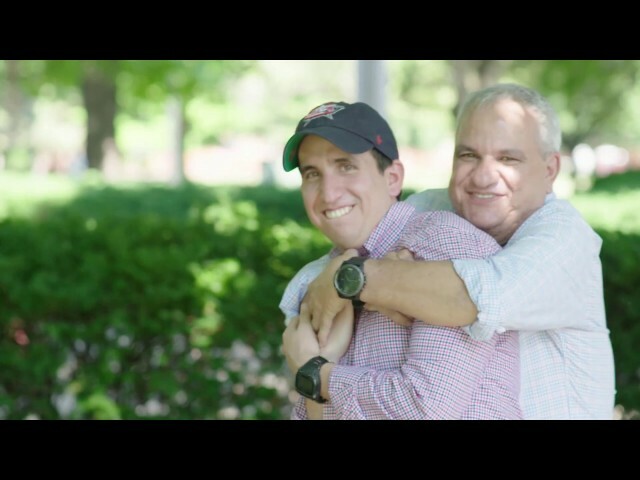 With the assistance of OSU's Destination Medicine and Concierge Program, Tito (age 47) was able to travel from Nicaragua to Ohio State's Comprehensive Transplant Center for a living kidney donor transplant from his brother. After a decade battle with kidney disease, Bethany is finally able to start her family, thanks to a living kidney donation transplanted at Ohio State's Wexner Medical Center.